When you're sporting our colors at your races, not only will you have an advantage over the competition, you'll be part of our family. 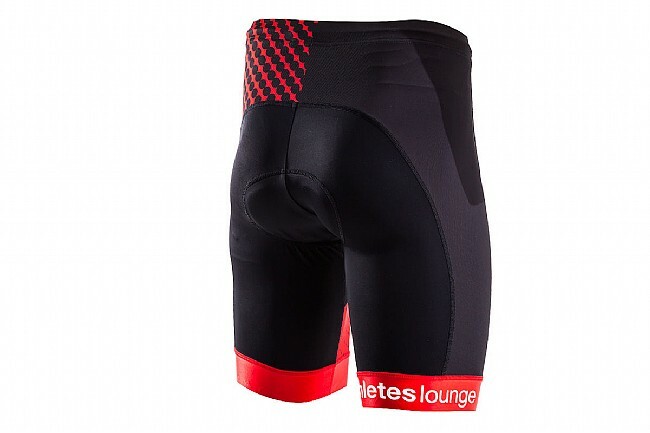 Designed to win races, the ProCorsa Men's Athletes Lounge Tri Bottoms feature lightweight and breathable quick-drying compressive lycra, meaning you'll be well on your way to dry comfort on as you pedal away from T1. The ergonomic fit of the shorts means you get a smooth silhouette, benefitting you both in the swim and in the ride, while the flexible high-density chamois virtually disappears during the run. A drawstring waist keeps the shorts in place all day, no matter the effort. Ergnomic fit provides a streamlined silhouette thats both hydrodynamic and aerodynamic. 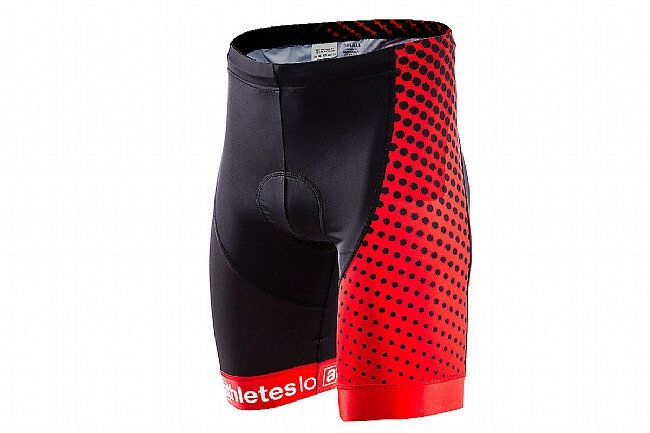 Constructed from 210g/m2 compressive Power Lycra water-shedding fabric. Tri-specific high-density flexible chamois moves with the body through a wide variety of motions.